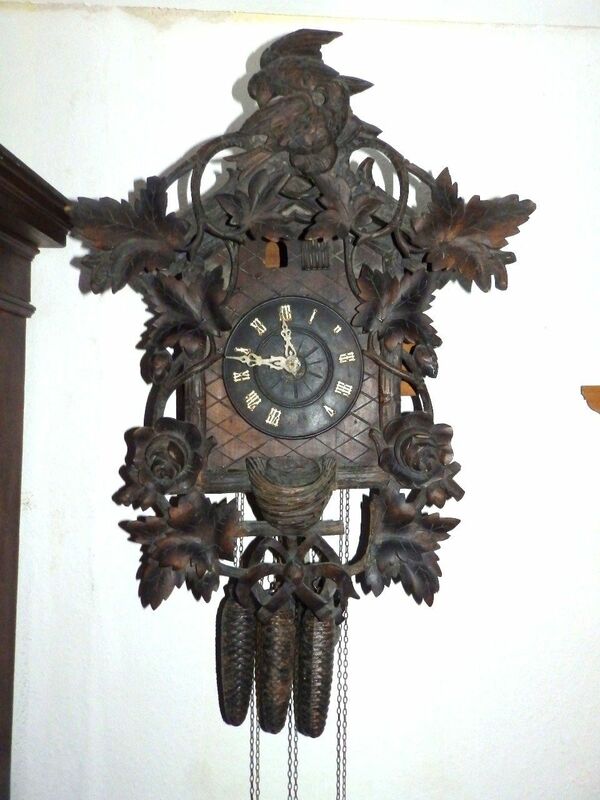 This beautiful German cuckoo clock is from the 1880’a to 1900’s era. This clock is 49 cm/20 in wide at its widest point. It is also 64 cm/25 in tall from top to bottom. The cuckoo clock for sale is not in working condition. 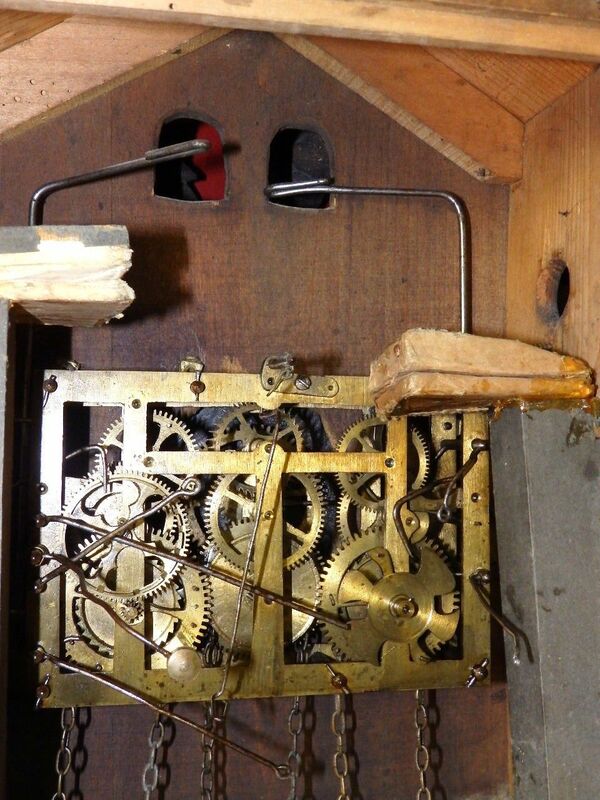 The cuckoo clock parts are missing its cuckoo and its quail as well as a pipe to help make this clock function. 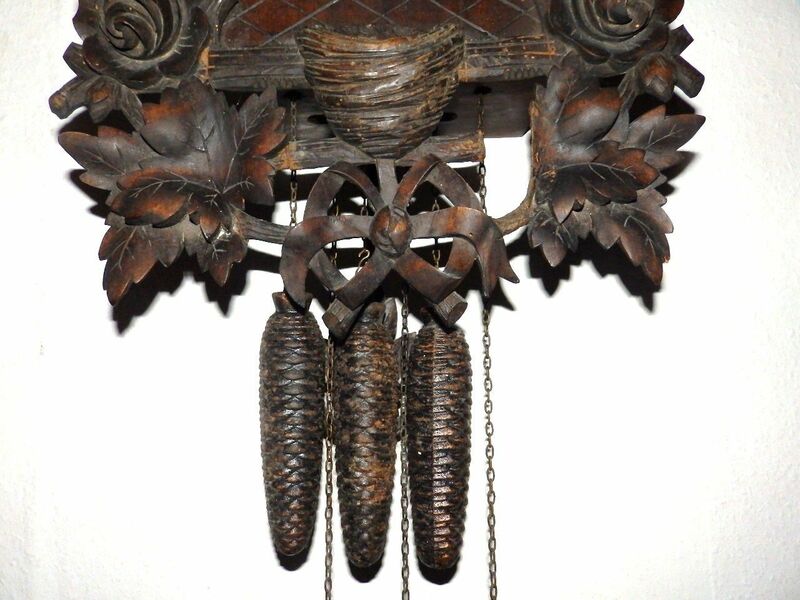 However, this best German cuckoo clock with a quail is able to be restored or to be used to repair other cuckoo clocks. 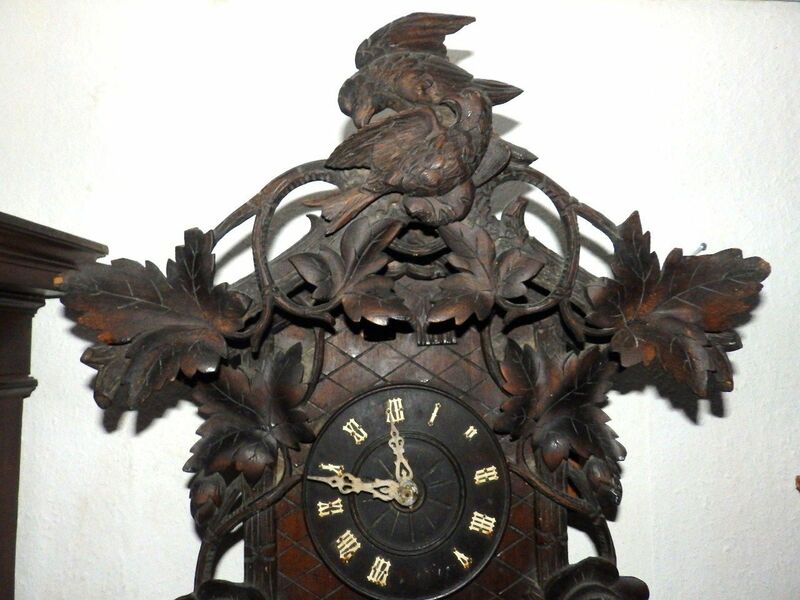 Just invest in a cuckoo clock repair guide It is beautifully carved with a deep brown wood stain. 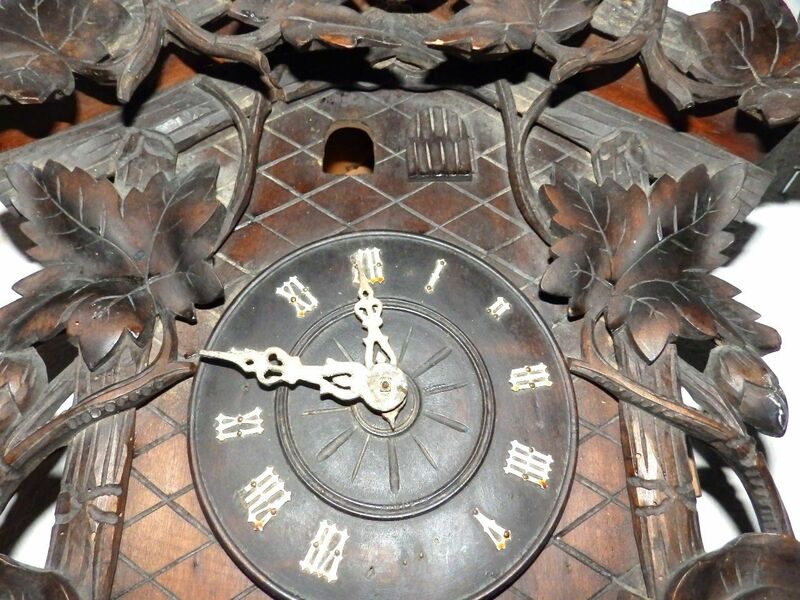 This clock has beautifully carved birds and vines around the whole clock. This clock for sale is from Germany made from wood from the Black Forest. The Black Forest is where trinational cuckoo clocks begin. The Black Forest in Germany is known for its wood being used even on cheap cuckoo clocks from back in the 1800’s to the present. The reason this authentic German cuckoo clock is being sold is so that someone else can enjoy the product as much as I did. I want to give an affordable cuckoo clock to others than cannot afford to buy cuckoo clock. I cannot afford or do not have the means to repair the cuckoo clock parts myself. I would like a cuckoo clock enthusiast to be the one to restore it or make it part of another clock that is just as beautiful as this one. I am sure that this clock will find the best place with a clock lover who knows how to repair and restore. If you would like to restore this clock I would love to see how it looks afterwards. This clock is beautiful and has seen better days but I believe it can be restored. 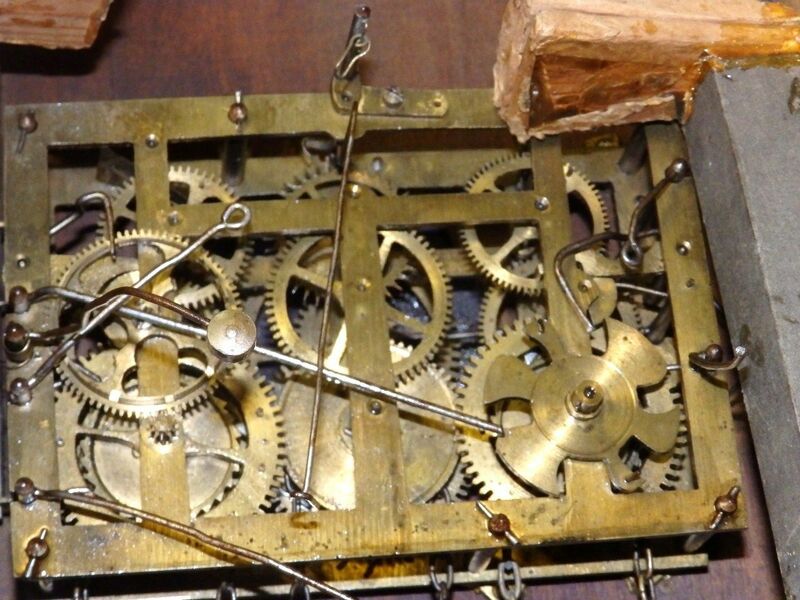 Even though this clock is not in working condition with the right person and the right care it can be restored or used in another clocks restoration. The parts that are here are in great condition and would work great in another clock.